Over the last year, Marfa residents who live in adobe homes have seen their property taxes increase by up to 60%. For months, local residents have been voicing their concern to the Presidio County Appraisal District (PCAD). 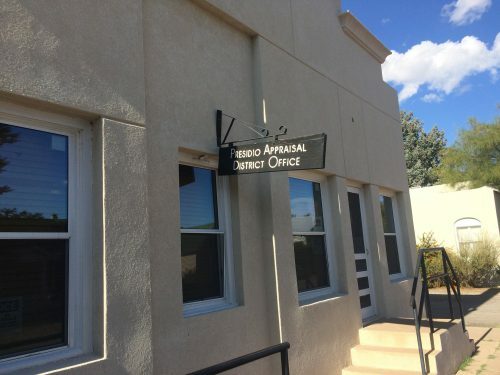 On Wednesday, seven Marfa residents got up in front of the appraisal district’s board of directors to express their concern over rising home appraisals – specifically, the valuations on adobe homes. They called the rising cost of adobes “discriminatory,” saying rising prices are causing gentrification and forcing locals out of their homes. They asked the board for a review of the adobe classifications and appraisal rates that went into affect at the beginning of 2017. When it came time for action, board Chair Cinderela Guevara read a letter from the district’s attorney, Dylan Wood of Perdue Law Firm. In the letter, Wood essentially told the board that they don’t have the authority to call for such a review. “I advise against adding that action item as drafted,” the letter said. “I think they’re basically reneging from their community responsibility,” said Hunt. PCAD board members noted that the appraisal report for 2017 is due by the end of this month, and it will provide the latest data about property values in Marfa. The board is required to come up with an appraisal plan biennially – which means it’s due in fall of 2018. This entry was posted in KRTS News and tagged Adobe, Cinderela Guevara, Paul Hunt, PCAD, Presidio County Appraisal District. Bookmark the permalink.